AN investigation undertaken by The Mirror revealed last night that more than 70 morbidly obese children have been taken into care due to their weight in the past five years in the UK. The UK’s obesity epidemic which is barely out of the news continues with this shocking figure, but is it really shocking? 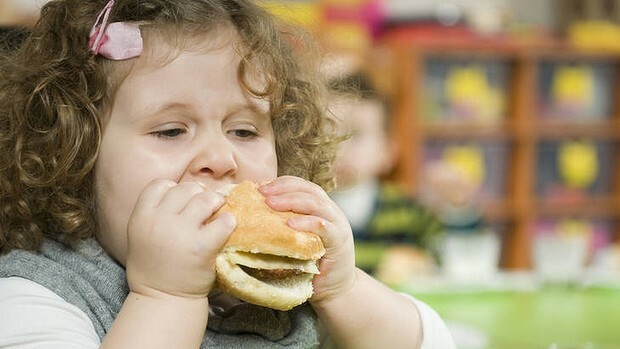 Some critics believe that over-feeding, one of the main causes of obesity in children, is the same same as under-feeding children; in fact the same as any form of child abuse. In black and white, the possible illness and diseases caused by obesity looks terrifying, and authorities believe that in this condition, children should be removed for their own wellbeing. The newspaper uncovered the information that 74 children have been taken into care for this reason following their Freedom of Information (FOI) request, and the media has launched into a debate as to whether or not this is the correct action. Must children be ‘saved’ from over-feeding parents? Is this not a case of insufficient and inappropriate education on the parents’ part? Does this not exemplify that parents need to be further educated as to what food really is right for their kids? “To be allowed to get so obese at such young ages is quite simply child neglect and abuse. I understand the reluctance of social workers to act until medical professionals have seen the children. But once a care order is obtained, no delay on their part is acceptable. Contending this idea, eating behavioural expert at the College of Contemporary Health Rhian Jones believes these removals of children may just cause further harm. She told The Mirror that to take a child away because of this may perpetuate the root problem. She says that removing the parental comfort from their lives, they will inevitably continue down the path to their next comfort; usually food. So, is this as extreme as it seems? Is the answer in taking these young children away from their parents? Or would it pay off to work daily with parents to educate and plan food; dealing with the root cause rather than simply removing a child from it. Should social workers be concentrating on ‘saving’ victims of ‘real’ abuse, avoiding tragedies like the Baby P case?… Food for thought.